What’s the difference between reading A Tale of Two Cities from your good old traditional printed book and from your electronic reader on your laptop? I mean you’re reading the same words, and the same story by the same author, right? It can’t be the pixels that have replaced the printed ink. Actually, it’s much more than that. No one can deny the benefits of the traditional friendly book. You can take it on the beach without worrying that sand would infiltrate its pages. You can slip it in your tiny purse to keep you company whenever you go. You can take it to bed without worrying about it hitting the ground if you sleep off. You don’t have to worry about its battery dying off or the constant absence of a plug. You can spill coffee and food on it without worrying about its electric wires fusing. You can read it for hours on end without suffering the eye soaring fatigue that usually comes along online reading. According to software programmers, the navigation of the traditional book is “simple” and “more intuitive”. “You can flip through real pages much more quickly and flexibly than you can through virtual pages. And you can write notes on a book’s margin or highlight passages that move or inspire you” (Carr). And above all, the traditional book shields the reader from all the surrounding distractions in an online environment. “read books, magazines, newspapers and blogs anywhere and anytime”. “hundreds of pounds of reading material under one small package”. It also includes many links which can take the reader to different related pages on the web. she adds. She believes that the expansion of all the above features in eBooks would provide a better and more exciting learning experience. In an article called How the E-Book Will Change the Way We Read and Write, the author Steven Johnson explains some of the implications that e-Books might inflict on the practice of reading. He sheds the light on the ease of finding information that will result from the instant searchability features of online books, every word in every book will become searchable. In an article called the Bookless Future, the historian David Bell tells his experience with reading a book online which confirms Johnson’s fears. He described difficulty of keeping focus or recalling the information. 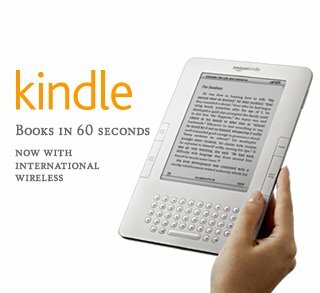 Clearly e-Books do offer endless possibilities for learning which is sometimes the reason why they lack the single feature that traditional books have over them: the seclusion and the quietness that the traditional book offers, and the immersion in the words that makes one lose track of the time. 1. Bell, David. "The Bookless Future." The University of Michigan Press. 1 Jan. 2005. Web. 7 May 2011. <http://www.press.umich.edu/pdf/9780472031955-ch19.pdf>. 2. Boog, Jason. "HarperStudio Re-Enters Digital Book Pricing Debate." GalleyCat-The First Word on Book Publishing Industry. 2 Mar. 2009. Web. 5 May 2011. <http://www.mediabistro.com/galleycat/harperstudio-re-enters-digital-book-pricing-debate_b8722>. 3. Carr, Nicholas G. The Shallows: What the Internet is Doing to our Brains. New York: W.W. Norton, 2010. Print. 4. Johnson, Steven. 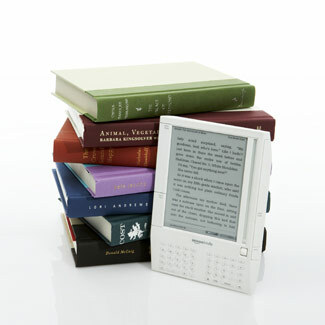 "How the E-Book Will Change the Way We Read and Write." The Wall Street Journal - Technology. 20 Apr. 2009. Web. 6 May 2011. <http://online.wsj.com/article/SB123980920727621353.html>.